Hardly any place is more paradise than the Seychelles. This is true for bridal couples even more than for other holidaymakers. In addition to the fantastic landscape of the island group and the hospitable people, the bureaucracy is so uncomplicated that marriages in the Seychelles require comparatively little preparation. 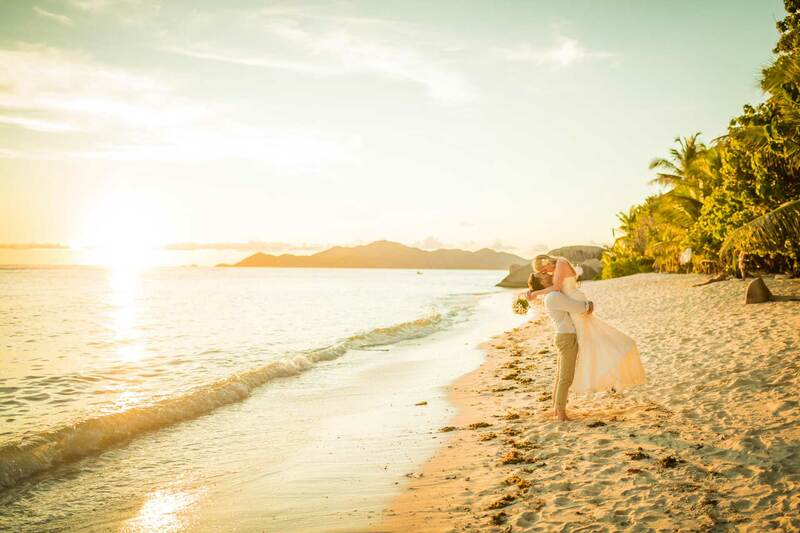 However, you have to pay attention to the fact that your wedding will take place place on the beach or in the Seychelles hotel without a hitch. Your marriage must be requested at the Victoria Office on the island of Mahé, at least 11 days before the date of the event. If it is fast, then you can also apply for a special permit. So you can get married within two days, but you must be on the islands for at least as long. Civil office and the hotel administration are responsible if you want to marry in your hotel. 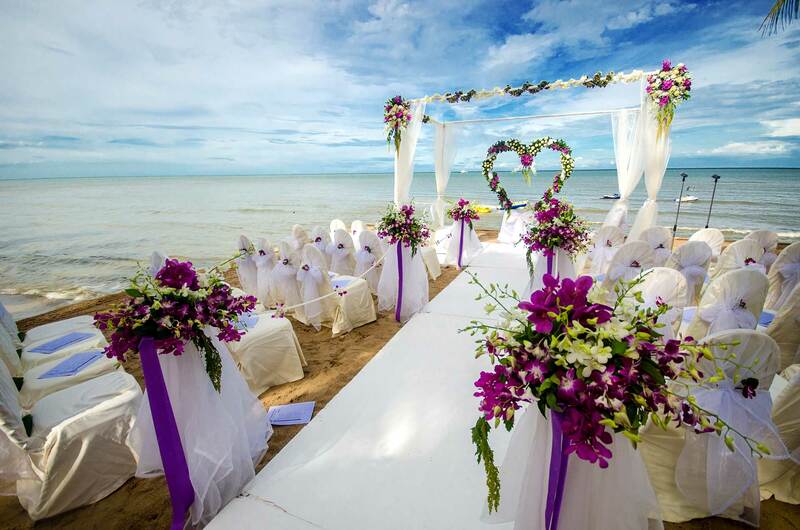 Outside of the hotel you may get married in other approved and private places, for example, a wedding on the beach is often possible. For the wedding in the Seychelles you need two maids. You can get married on any day of the week, at the weekend or a wedding after 5 pm gets slightly more expensive. You can complete the formalities yourself or hand us the entire wedding planning together with your personal wedding photo album. 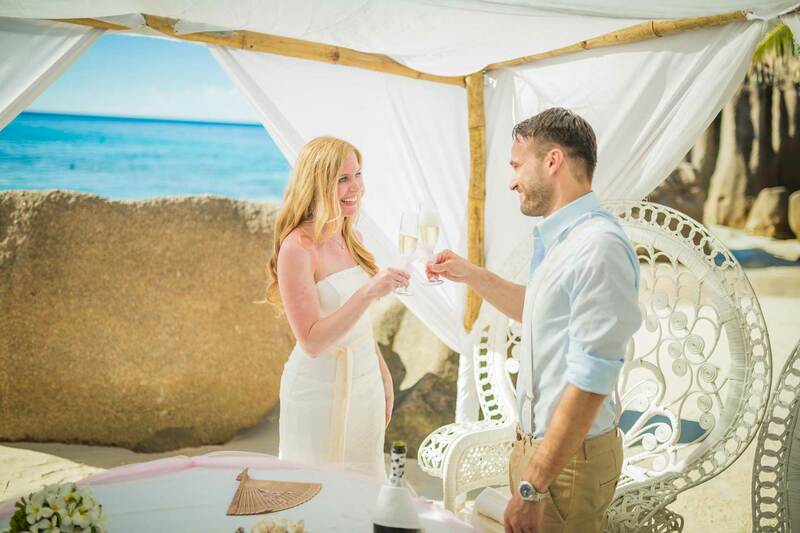 In our packages for your wedding in the Seychelles, we take care of everything necessary to give you an intimate wedding and a splendid celebration. It is important that you send us all necessary documents in due time. Here you can read more about this in detail. 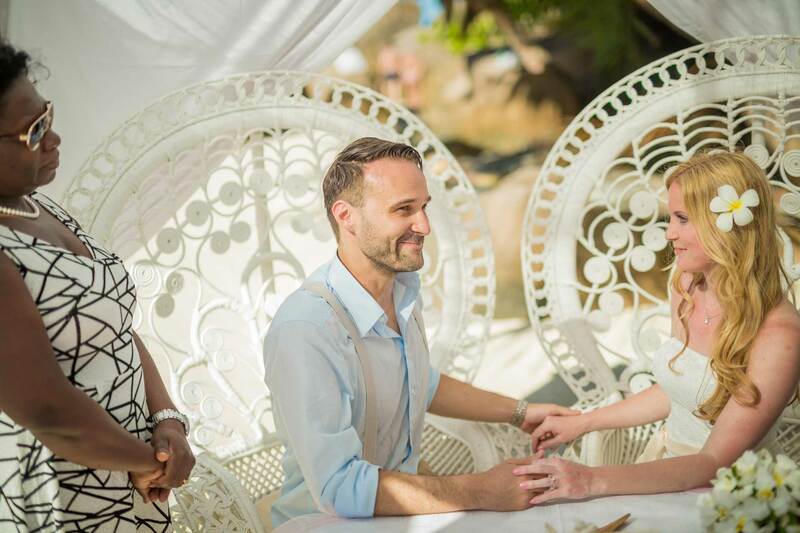 Because of the uncomplicated regulations in the Seychelles, marriages are particularly easy for foreigners and also for binational couples. By handing over the apostille from the Supreme Court of Seychelles in addition to the certificate of marriage, the marriage is recognized as being legally binding almost anywhere in the world. Special rules apply to Swiss, French, German, Austrians or Swiss residents who are expatriates in the Middle East or Asia. Ask us about it! We will gladly inform you about the necessary formalities for these cases and take care of everything necessary! If you travel to the Seychelles, you do not need to apply for an extra visa. With the entry you get a right of residence for one month, which can easily be extended by three months. 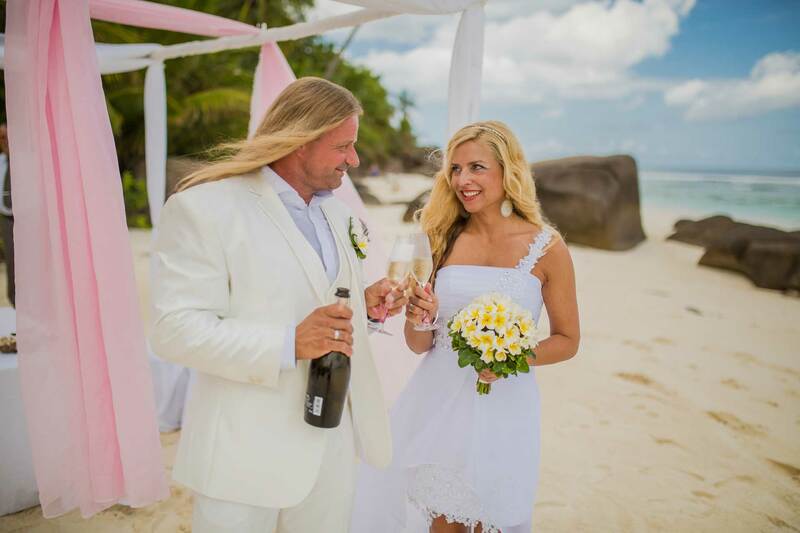 So you have lots of time to enjoy your wedding and spend a lot of honeymoon in the Seychelles!